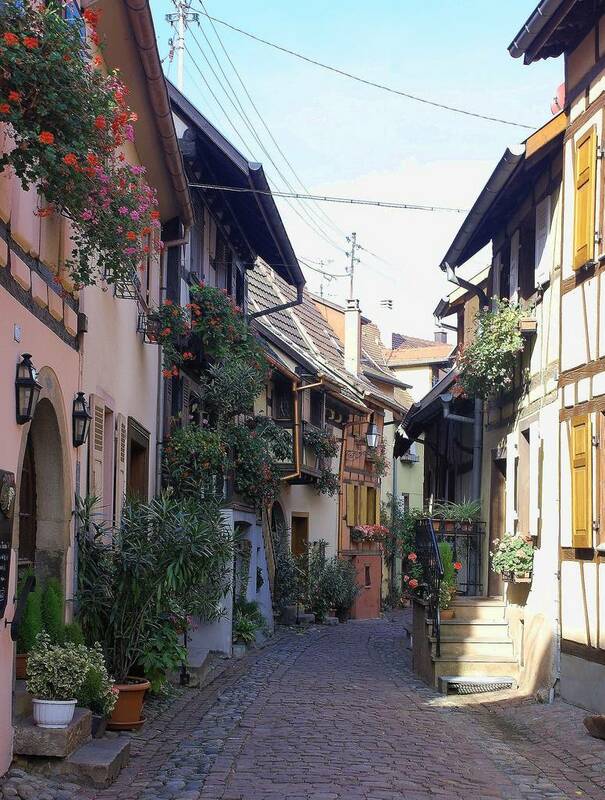 Even though it may not be the main holiday destination for tourists, Eguisheim is definitely worth visiting. 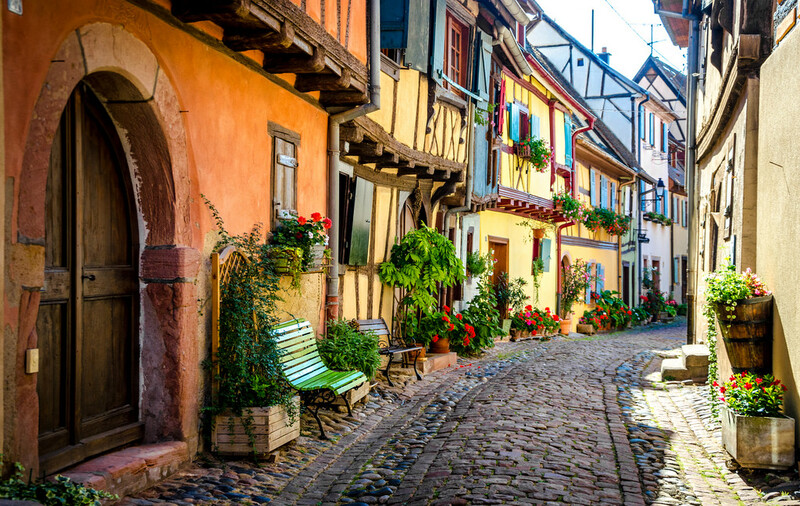 From incredible architecture to fresh air and cozy feeling to it, this town definitely has it all. 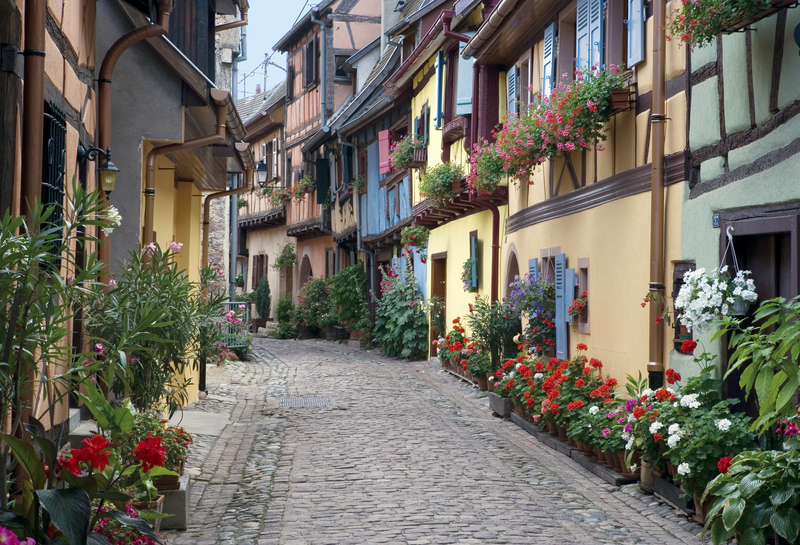 After all, it was voted as France’s Favorite Village in 2013 for a reason! 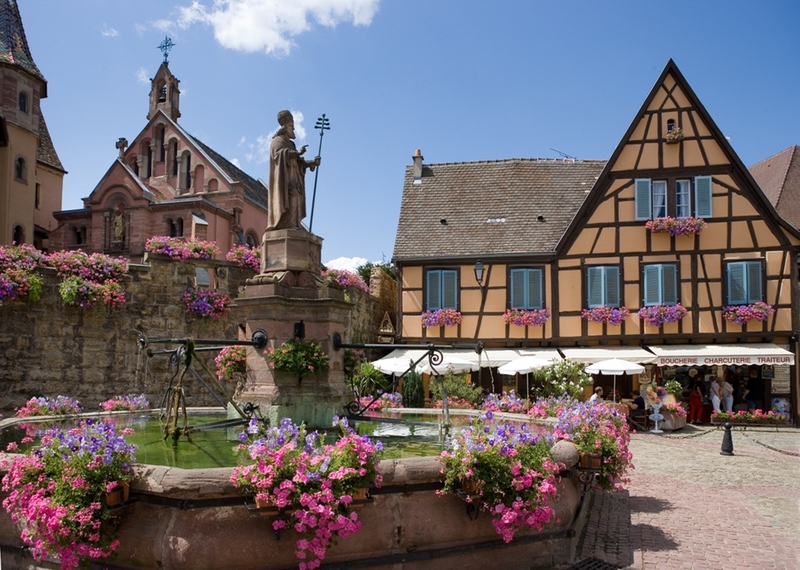 First of all, people prefer visiting Eguisheim over the legendary City of Love, or other popular cities, because its like traveling to another world. 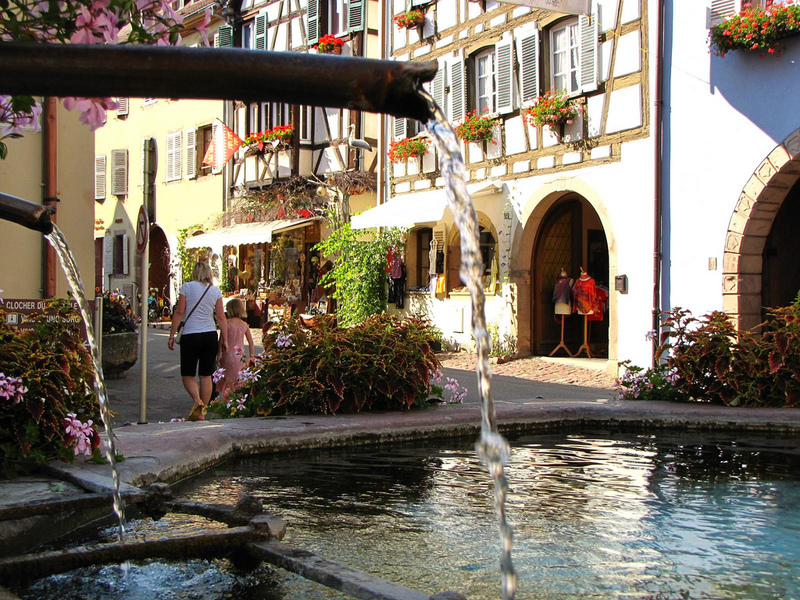 The lack of traffic, the tranquility and traditional culinary treats, make Eguisheim an ideal place to take a break. 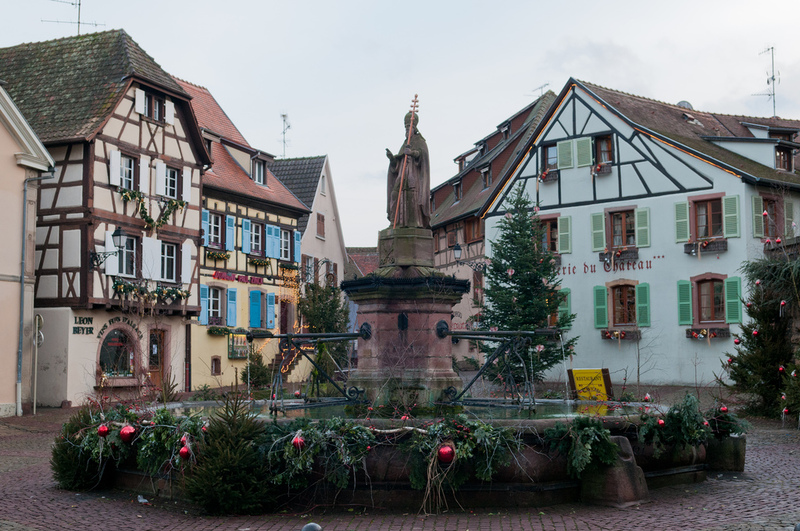 Each year, the village gets at least one award, regarding its beauty and preservation of architecture, as well as historical monuments. 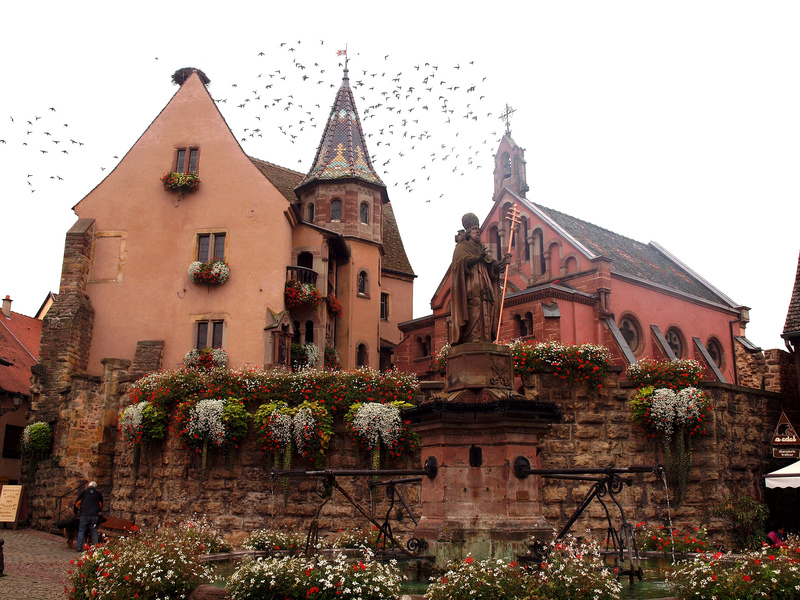 Speaking of history, the town was built in 1257, but its main castle is even older than that. The building dates back to 1220 and it’s available for visits, along with a local guide. While getting there, tourists can also observe the bow-windows and pointed gables, that were built near military ramparts around 1400. 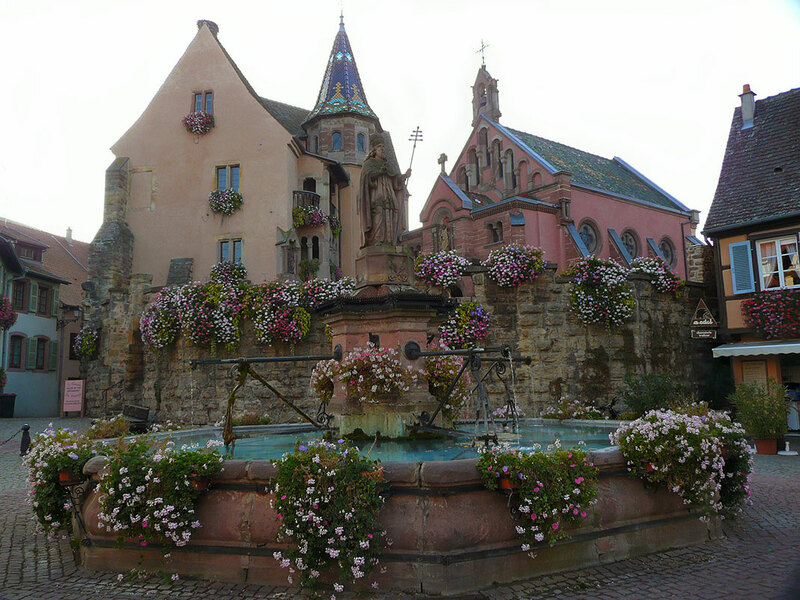 Another landmark of the town are its fountains. 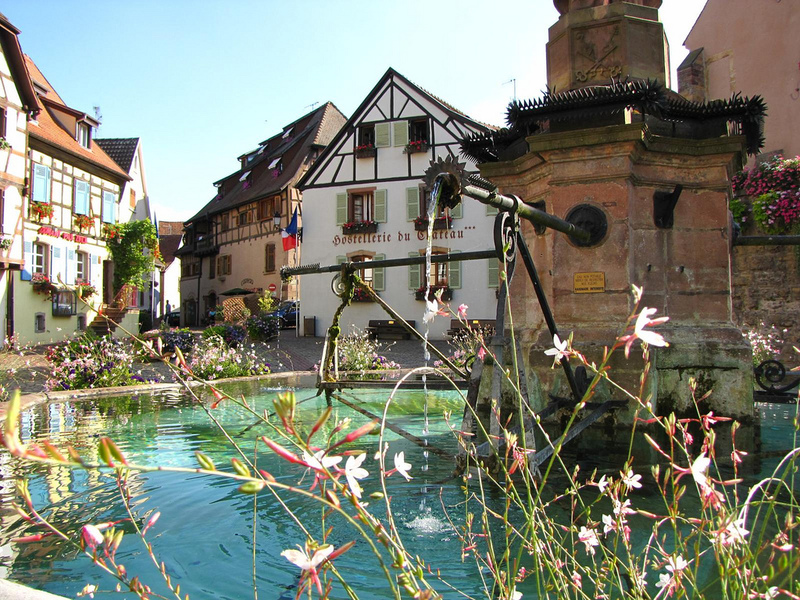 They were built over a period of centuries; the oldest one, known as the Market Square fountain, dates back to 1557. 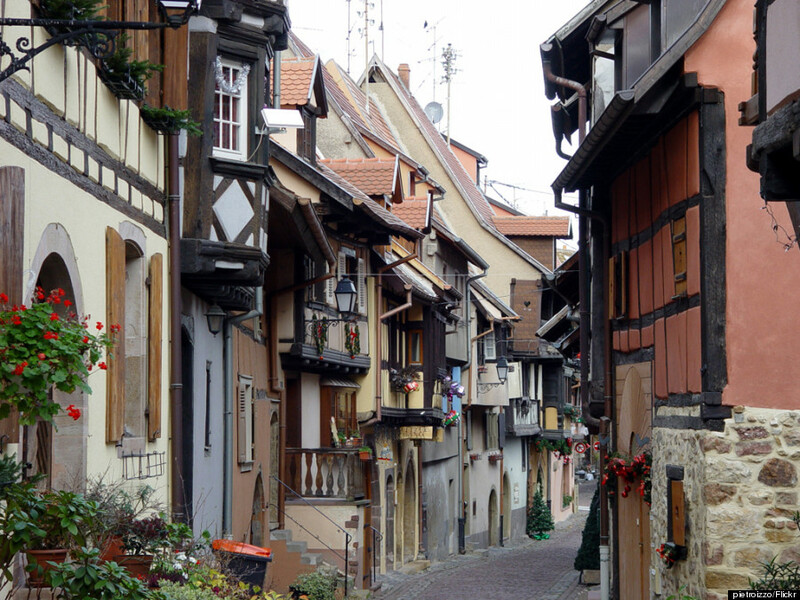 Visitors also are delighted to see the unique, well preserved architecture of Eguisheim. 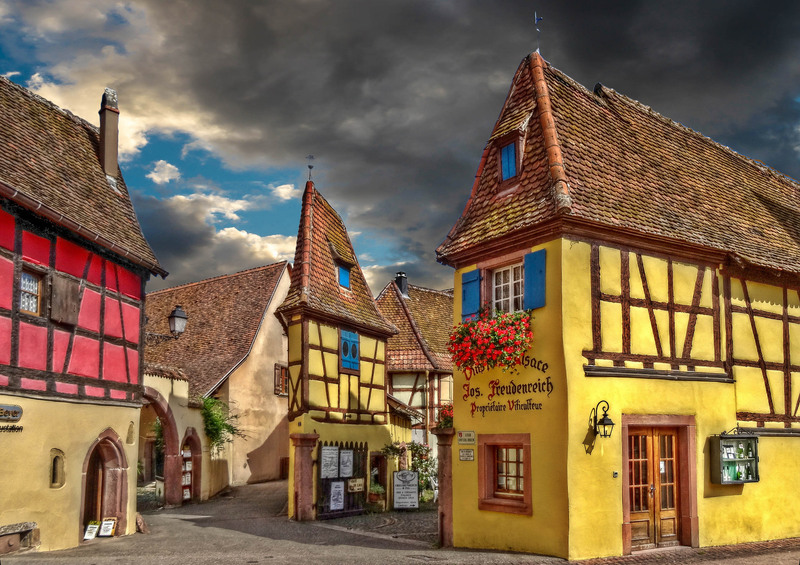 It may seem strange, the buildings have a German touch to them, but a quick look back at history gives a better understanding. The city was conquered by the Germans between 1871-1919. 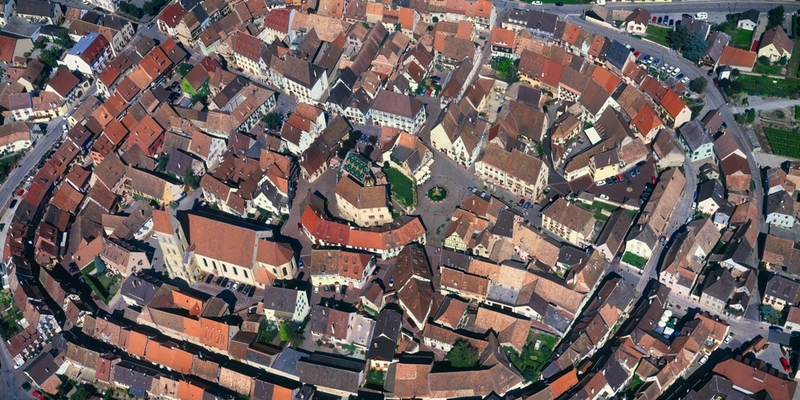 At the time, the city had already gotten its circular shape, with buildings surrounding the center of the town, creating beautiful maze. 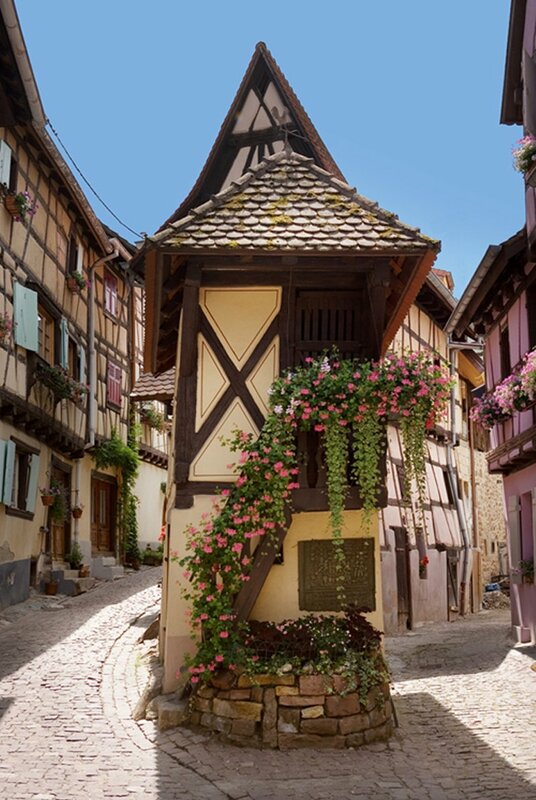 From multi-color buildings to small streets and balconies filled with flowers, the city of Eguishem is by far one of France’s most beautiful places to visit. 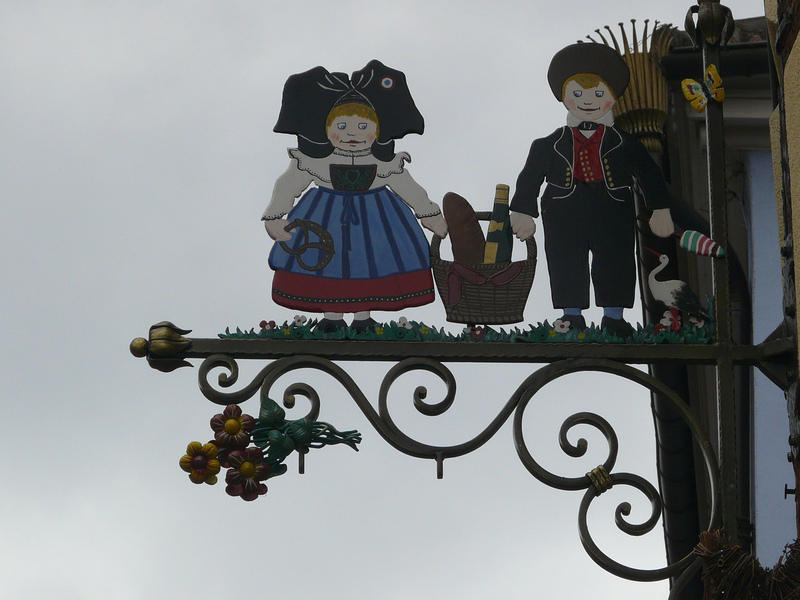 The ideal time to come to the village is during the Fete des Vignerons; the last week of August. That is when winegrowers gather to celebrate in the streets. 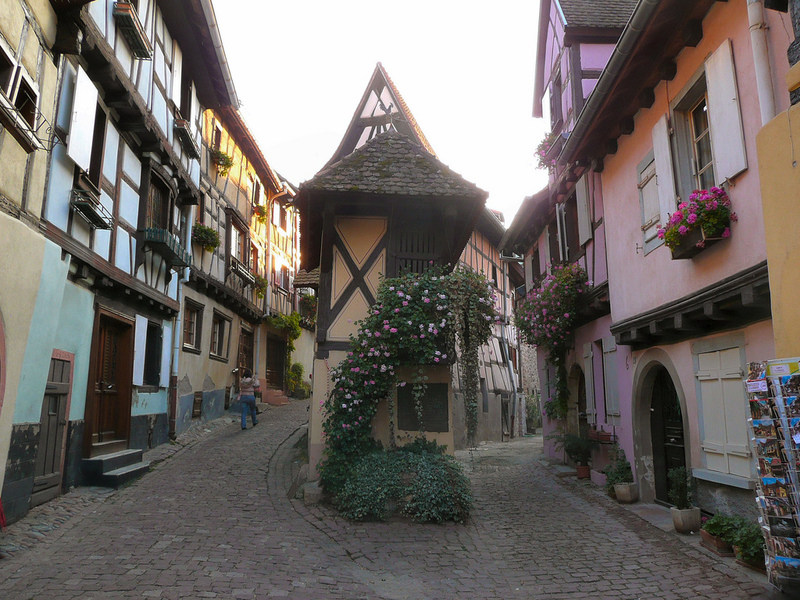 Photos via Kiriositas and the Eguisheim and Environs Office of Tourism.